Delays on the Red, Blue and Yellow lines are possible Thursday due to scheduled track work for the middle of the day, Metro said. Through 2:30 p.m., Red Line trains originating at Silver Spring will turn back at Farragut North, Metro said. The track work is being performed between the Friendship Heights and Van Ness stations. Delays are possible in both directions, Metro said. 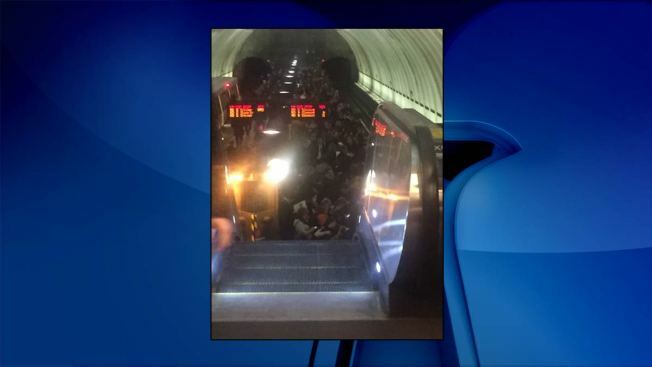 Delays are also possible on the Blue and Yellow lines in both directions due to scheduled track work between Pentagon City and Reagan National Airport, Metro said. The track work comes after a challenging morning on the Red Line for some riders following a power problem at the Grosvenor station. Thursday morning, Metro told riders to expect delays of up to 30 minutes until the problem was resolved. During that time, trains moved through the area at a slower speed, Metro said. Some trains also offloaded and turned back to Glenmont during the morning problem.